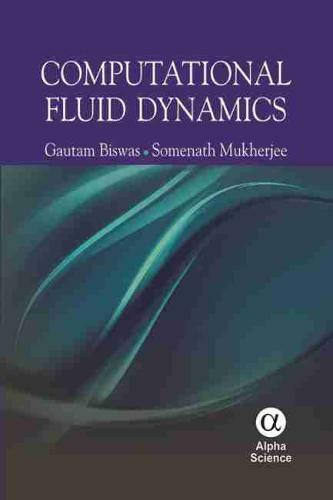 COMPUTATIONAL FLUID DYNAMICS is an effort to cover a range of topics, - from elementary concepts for the uninitiated students to state-of-the-art algorithms useful for the practitioners. The contents begin with preliminaries, in which the basic principles and techniques of Finite Difference (FD), Finite Volume (FV) and Finite Element (FE) methods are described using detailed mathematical treatment. The methodologies are explained systematically using step-by-step hand calculations. These introductory chapters are followed by the state-of-the-art methods and algorithms, including, Semi Implicit Pressure Linked Equations (SIMPLE) and Marker and Cell (MAC) family of algorithms that are widely adopted in various commercial codes. These advanced chapters use general forms of governing equations, boundary conditions, and initial conditions encountered in CFD. Finally, the modeling of free surface flows has been covered as a special topic. Students and practitioners - particularly in mechanical, aerospace, chemical, metallurgy and civil engineering - will benefit from this authoritative material. They will be able to apply numerical techniques to the solution of variety of fluid dynamics and heat transfer problems of industrial importance.